Properties in Manly average 4.8 out of 5 stars. Property 13: Luxury Beachfront Bach. 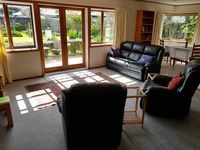 Cute Bach - Seaviews, 100m to Stanmore Bay Beach. 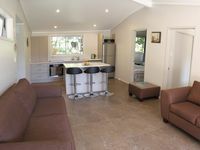 Property 26: Cute Bach - Seaviews, 100m to Stanmore Bay Beach. Make Memories this Peak Season by Making this Sunny Stamore Bay Home Your Own! Property 27: Make Memories this Peak Season by Making this Sunny Stamore Bay Home Your Own! We stayed here with our two boys over a long weekend. The property was immaculately presented and everything functioned as you would expect. Sue and Ed (the owners) were great and had some great ideas for activities for kids and us to do. Property is a few minutes walk to Manly beach which I always enjoy walking along. Although there were only 4 of us this property could have easily housed another family and then a few more. Terrific place, well kitted out, home away from home with amazing locality to beach, and views. Thank you. Had a great time and will stay again!